Our client for this project is a very successful business man who regularly travels back and forth across the Atlantic, but when in the UK like to relax at his country home near Oxford. 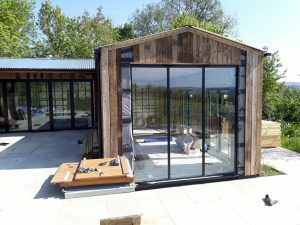 A fan of Soho Farmhouse, the request was to provide a sauna and steam room which echoed the “rustic” feel, and which also fitted in with the overall design aesthetic of the stand alone leisure facility. 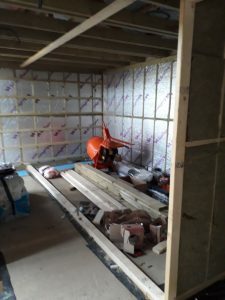 An initial site visit allowed us to ensure that once completed in our factory, the sauna and steam room would maximise the space available. The space for the proposed sauna and steam room. 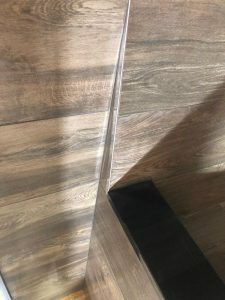 Once final site dimensions were confirmed, and the client had chosen his tiles for the steam room, we commneced the installation, which was complete within 7/8 days. 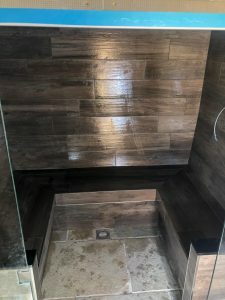 Steam room with “rustic” plank like tiles. Lovely attention to detail in the tiling. 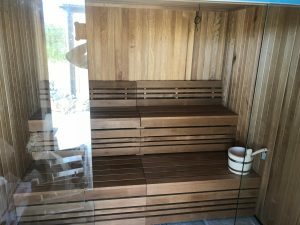 Sauna in Thermo Alder and with fully glazed front.